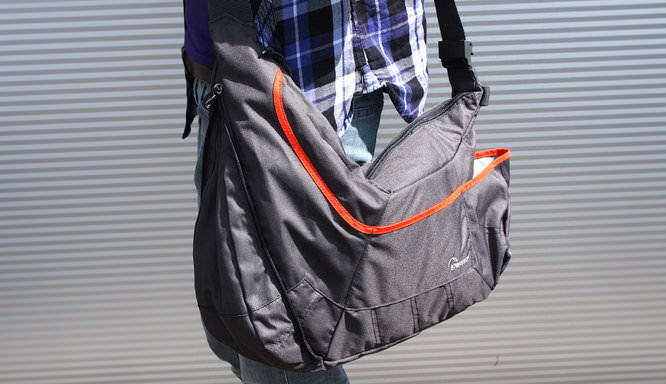 Emma Kay Takes a look at this sling style bag designed for travelling. The Lowepro Passport Sling III is a shoulder bag that Lowepro claim is made for travel. Part of the Passport series, a rucksack and messenger bag are also available in the same range. The bag is designed to hold either a DSLR with extra lens or smaller CSC camera and lens, along with travel essentials. It is available in black, or grey and orange. Here, we take a look at the grey and orange version. There is an adjustable shoulder strap with removable shoulder pad, and the main compartment of the bag has two zip access. Loops on the zips make them easy to operate. The bag is extendable, by way of a zip on the side which when unzipped allows an extra fold of fabric to be released, increasing interior storage by 30%. 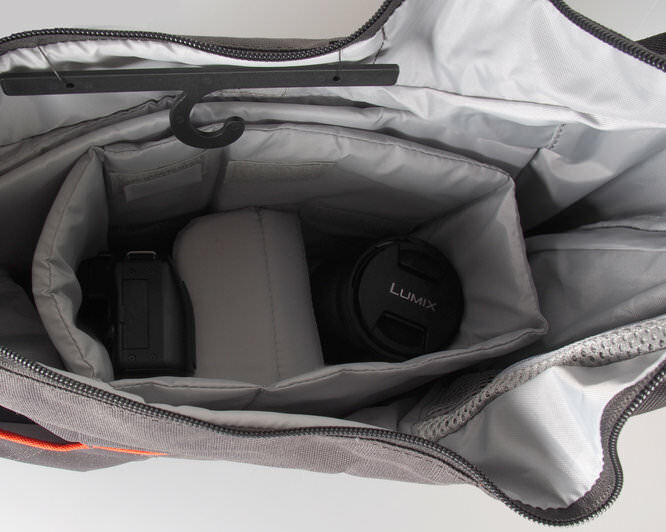 In the main compartment there is a padded tablet pocket, and an impact resistant removable camera insert which adjusts to fit a variety of cameras and lenses. When this is removed the bag can be used as an everyday shoulder bag. There is also a zipped mesh side pocket. 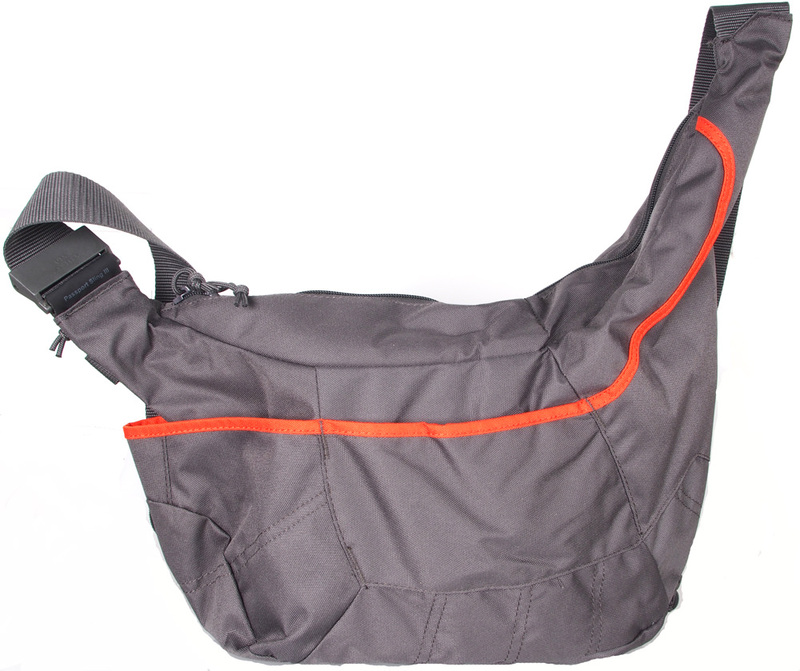 The Passport Sling III is a lightweight bag that is easy to access and comfortable to wear. It can be worn over the left or right shoulder, and you can have the taller part of the bag to the back or front of you by flipping it around. The outside pockets are convenient for water bottles and other non valuable accessories, as because they don't zip it would be relatively easy to someone to lift valuables out of the pockets. The mesh zipped pocket inside the bag will be the best place for small valuables. The camera insert itself is easily altered to suit the needs of your kit. It comes with one divider, allowing you to fit the camera in snugly leaving room for another lens. We managed to fit a compact system camera (CSC) with a mid-range lens attached and an extra lens in the bag with no issues, and there was still plenty of room for personal accessories, around and on top of the insert. The bag is comfy to wear with kit and doesn't weigh too much meaning you can wear it across your body or over one shoulder with no issues. The fact that the insert lifts fully out is handy, allowing you to leave the kit in the inset in a hotel safe if you wish and use the bag for general exploring. The ability to extend the bag is handy too and allows you to compact things like lightweight coats if they are added to the bag when it's extended. The strap altering mechanism is a little strange, as instead of the usual buckle style, there is a pull up clip. If you want the strap shorter, you're left with a loop of strap that has to be tucked into a loop in the front pocket. 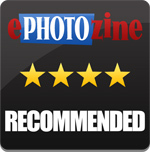 The Lowepro Passport Sling III is available for £52 from WEX Photographic. This is a very reasonable price for a lightweight and versatile bag of this size. Sling style bags that hold a similar amount of kit include the Manfrotto Agile I Sling, which is available for £57.90 from Amazon. A bag with a similar style removable insert is the Think Tank CityWalker 10, which is more of a satchel style bag and holds a DSLR with attached lens, another small lens and a flash unit for £99 from Amazon. You could also look at the Tamrac Apache 4 for a more traditional style satchel bag that holds a similar amount of gear. 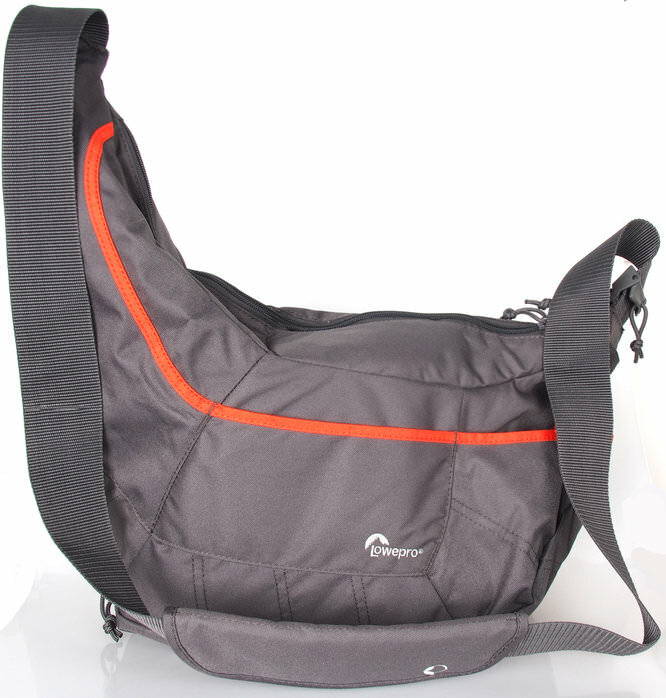 Overall, the Lowepro Passport Sling III is an ideal shoulder bag to take as hand luggage on your travels. It will protect your kit while leaving enough room for all your personal and important items. It's versatile, with the ability to extend internal storage space by 30%, and zip it away when it's not needed, plus you can use the bag as a normal everyday sling by removing the camera insert. 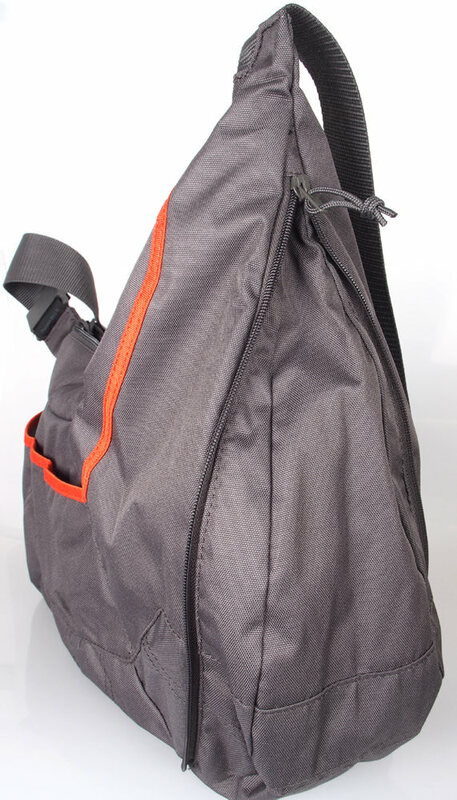 Although it's a bit of an odd shape, the bag works well and will be ideal for travelling with a small amount of kit. The Lowepro Passport Sling III is a versatile and lightweight travel bag ideal when travelling with small amounts of kit.